Sometimes it is written in the stars and all the pieces that make the winemaking jigsaw puzzle, come together. This is what has happened at Finca Antigua. Thanks to a very nice summer and an ideal, almost textbook, weather, the vintage this year will be fabulous across DO La Mancha and particularly, in our estate. In the words of Lauren Rosillo, Technical Manager at Finca Antigua and all Familia Martínez Bujanda wineries, ‘This summer has been excellent, with cool nights and no heat waves.’ This, together with a wet spring, has made 2018 an ‘ideal’ year with an ‘outstanding vintage’ expected. Finca Antigua is a special case due to its unique features. It covers nearly 1000 hectares at altitudes above 900 metres. 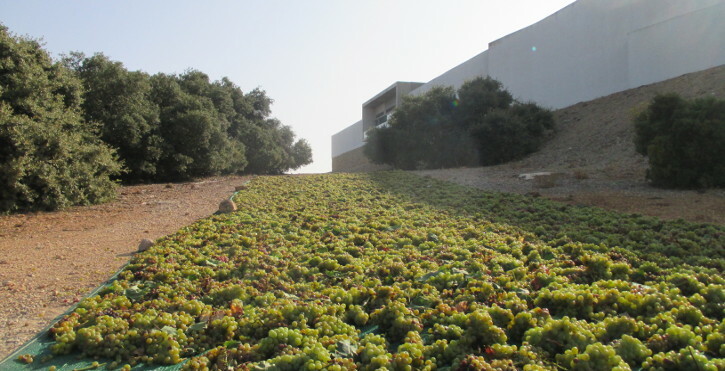 Of the total surface area, 421 hectares are under vines; the rest is Mediterranean scrubland. The estate is divided into 40 plots, where we grow the different grape varieties in our catalogue: Viura, Garnacha, Tempranillo and Muscat, all native, and Merlot, Cabernet Sauvignon, Petit Verdot and Syrah, non-native. The soil at Finca Antigua is mostly limy and rustic which, in addition to the high altitude, contributes to the singular, novel character of the wines that make our large selection of crianza varietals. With all these characteristics and the excellent weather conditions, this year the vintage at Finca Antigua will surely be memorable. We suggest that you taste our 2018 wines and share your opinion with us – when they come on sale, of course!